The entire text of Historical Buildings by Goolbai Gunasekara, covering twelve famous constructions, is now available on that website. Greece is one of the three peninsulas extending into the Mediterranean Sea in the south of Europe. 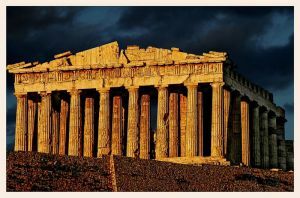 The capital of modern Greece is Athens. It is a very old city and dates back to a time long before the Birth of Christ, according to which we divide time into BC and AD. In that early period, Greece consisted of different city-states. Each was independent of the other. The two strongest city-states were Athens and Sparta. In those days, most developed areas were river valley civilizations, established around rivers in fertile areas that were good for agriculture. These civilizations were generally kingdoms, with power in the hands of a single person. In Greece however, there was more participation by the people in government, and it is from the Greeks that we get our idea of democracy. The word democracy comes from two Greek words, ‘demos’ which means people and ‘kratos’ which means power. The concept of democracy was most developed in Athens. 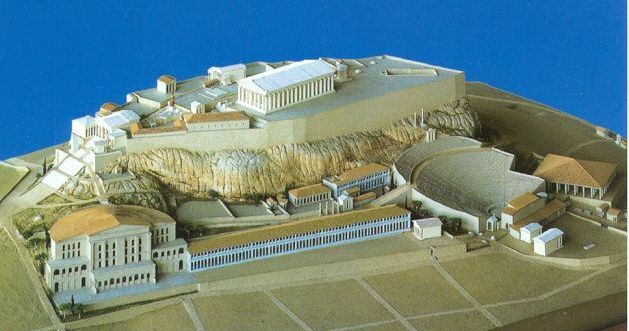 All Athenian citizens used to come to a hill in Athens every nine days to argue, make speeches and vote. Being a citizen meant more than voting. It meant holding office in government, and also acting as a juror, that is participating in making decisions in the courts. Every citizen was expected at some stage in his life to do his share of duty as an office holder and a juror, and to make sure this happened many such positions were allocated by lot, rather than by election. However this form of democracy was not perfect. The Athenian idea of a citizen was not the same as today. Only men were considered citizens. Women and slaves, as well as foreigners, could never be citizens. Since the men made up little more than half the population, this system cannot be described as fully democratic. Everyone has seen pictures of the Pyramids. Earlier, historians thought that these large structures, so many of which can still be seen in Egypt, were only used as tombs for great kings. We have now found that pyramids had a much greater function, which will be discussed later. In fact pyramids probably had many functions. The ancient Greek Historian Herodotus called Egypt the ‘Gift of the Nile’. Even today, the Nile river is very important to Egyptians. Although there is little rain in Egypt, the flooding of the river every year makes the Nile Valley a fertile ground. This made it attractive to settlers, and so began the Egyptian Nation. Ancient Egypt was ruled by the Pharaohs. Little was known about ancient Egypt, largely because no one could understand their hieroglyphics, or picture writing. Then in 1799, when Napoleon invaded Egypt, a group of soldiers discovered, among some ruins, a stone with writing on it that they soon realized was very special. 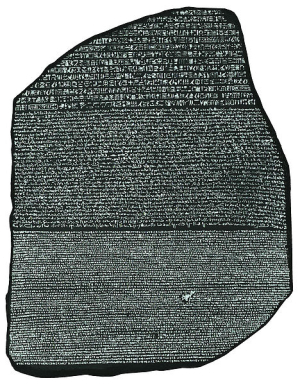 That stone is known as the Rosetta Stone, and on it were Greek letters and Egyptian hieroglyphics. 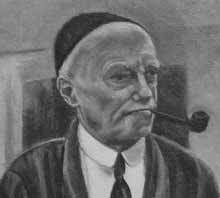 A French Scholar, Jean Champollion, used this to unlock the mystery of Egyptian writing and so opened the way for the study of Egyptian History. The most forceful exponent of what might be termed the public school ethos in literature was, I think, a Scotsman called John Buchan. He had been to a grammar school himself, but Scottish schools of the better sort had long had a more intellectual tradition than English ones. Having gone on to Oxford, Buchan then joined the imperial enterprise in its most stylized form, as a member of what was termed Lord Milner’s ‘kindergarten’. Milner, who governed South Africa, surrounded himself with bright young men, generally not aristocrats but those who had graduated through a public school and Oxbridge education into the ruling class. 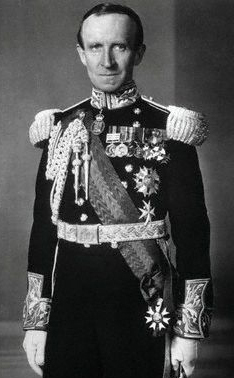 Buchan ended up his most famous product, as a writer who propagated the ethos and also as Governor General of Canada, the office he held when he died. Interestingly enough, he did his best during his tenure to assert a Canadian identity, albeit in the context of the wider British Empire. And he was one of the early proponents of a Scottish Parliament, suggesting that he had understood well that Empire, like the British ruling class, would flourish when it was not restrictive. He was a great proponent of multiculturalism and pluralism, though whether this would have extended to those with skin of a different colour, as Paul Scott was to characterize later the hump that many imperialists could never get over, is not a question that can be answered readily. Buchan’s most famous creation was Richard Hannay, who appeared first in ‘The Thirty Nine Steps’, which can lay claim to being the first spy adventure story. It has been filmed often, and never ceases to thrill, most dramatically when Hannay believes he has escaped his pursuers because of a kindly old gentleman, who turns out to be the chief villain of the piece. I can still remember how I felt suspense mount, when I first read the book, well over forty years ago, gradually realizing that the relief Hannay felt as he turned towards his benefactor was to vanish with the understanding that he was well and truly captured. I must confess that the decision to write about P G Wodehouse in this series of literary classics has opened up the floodgates, in a manner I find immensely pleasurable. Discussing someone whose main contribution, indeed his only one if we accept David Cecil’s characterization, was humour suggests a much more extensive, or perhaps I should say liberal, interpretation of the parameters of this series. It seemed obvious then that I should also write about the man who, at least according to his Wikipedia entry, has written more words that have been published than any other writer ever. I had to have recourse to Wikipedia because, once again, after many years of not reading the man’s work, I felt that memory required to be supplemented by research. This was a good thing, because I found that the man I wanted to talk about was called Charles Hamilton. I had previously thought of him as Frank Richards, writer of the Billy Bunter series. I had thought that was his actual name, rather foolishly, for I also knew that he was also called Hilda Richards, author of books about Billy’s sister Bessie. In fact he wrote under different names a few other series of books about schoolboys too, at a period in which this was a well established and popular genre. The usual books of the genre dealt with public schools, what seems a strange British locution for private schools, where boys were sent to become gentlemen, and potential rulers of other breeds, as Kipling termed them, in the Empire. The locution was not however quite so strange, because the term originated at the time when, following a Royal Commission on such schools, they ceased to be bastions of irresponsible privilege for scions of the aristocracy. They were expected to develop a sense of social responsibility and educational achievement, and under a selection of remarkable headmasters, they developed into really rather good training centres for young men who could think as well as lead. This is an excise in thinking skills and in making simple mathematical calculations. A fuller selection of such exercises will be found later on the website of the Liberal Party of Sri Lanka (www.liberalparty-srilanka.org) in the English and Education Section. Parliament itself should be based on an electoral system that encourages greater responsibility, with mechanisms apart from the electoral system to encourage ties between members and the constituencies they represent. A distinguished political analyst and an expert on constitutional affairs Prof. Rajiva Wijesinha, MP was interviewed by the Sunday Observer on the hotly debated topic – constitutional reforms.He says ‘we would do the best under a modified Executive Presidency based on the doctrine of the separation of powers but there should also be much more accountability for the President, and the Executive in general.’ He voiced that the 17th amendments is a hasty and impractical bit of legislation, but agreed that there must be systems to prevent arbitrary appointments. 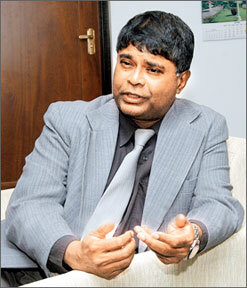 Q: The UPFA and the UNP leaders last week initiated a dialogue on constitutional changes. There had been positive comments from both sides on the topic since then. What is your take on this latest development? A: I think it is very important to keep dialogues going, and I hope both sides will exchange their views in a positive spirit. I have seen some comments on the reforms made by the opposition, which suggest a desire to make political capital out of the discussions. That would be a mistake, since I think there needs to be full confidence on either side that both are looking for solutions, not their own benefit. Q: There was a move by the Government to extend the two-term tenure of the Executive Presidency by another term. Is this still on the cards? A: I do not know what was decided in the discussions, but it is clear that this is no longer seen as a priority. That was obviously not something on which consensus was going to be readily achieved. Q: The main Opposition and the Government agreed to replace the Executive Presidency by an Executive Prime Minister that will be accountable to Parliament. How do you view this? A: I have never understood what was meant by an Executive Prime Minister, and the term seems redundant for the simple reason that, if you have a President, or a Head of State, who does not have executive authority, the Prime Minister is obviously the executive head of the government. This is what you find in India or the United Kingdom or Japan or Germany – though in that last place, a Prime Minister elected on the basis of a Parliamentary election is called Chancellor. Adding a redundant title does not make much sense. Sunday Observer – 2 May 2010 : Electoral reforms must come first. Prof. Rajiva Wijesinha, a distinguished academic and political analyst told the Sunday Observer, that a mixture of the proportional representation system based on constituencies plus a ‘national list’ will be ideal to select members to Parliament. He said the electoral reforms, a second chamber and proposed parliamentary advisory committees should precede a new constitution. 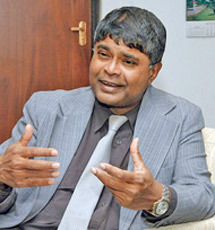 Prof. Wijesinha had earlier served as the Director General of the Secretariat for Coordinating the Peace Process (SCOPP) and later as Secretary to the Ministry of Disaster Management and Human Rights prior to his appointment as a National List MP to the new Parliament, by President Mahinda Rajapaksa last month. Q: Your entry into Parliament where your father served as a Secretary General for long years must have been an emotional experience. Can you define your future role as an MP? A: The most important thing is that, we now have an opportunity after 33 years to restore the dignity of Parliament. It was destroyed by the constitution and the practice of President Jayewardene. The Parliament has three functions, passing of laws, budgeting and the control of finances to ensure money of the executive is spent properly, and the representational function. With regard to the representation – this is a job easier on the national list MPs. We don’t have to ask for votes. But the district MPs have a terrible job, they have to represent a whole district. If they don’t they may not win a re-election. I think this whole electoral system has to be changed completely. Instead of working for the district the MPs should be able to work for a confined constituency where you could show results. The results are yours only, but if you work for a district the results may not clearly reflect your efforts. The worst J.R. Jayewardene did was to create an executive from well over 100 people in a 140 member Government representation. He had Ministers, Deputy Ministers, non Cabinet Ministers, he had district ministers. This gave rise to the idea that being just an MP was a joke. We need ‘two things’ to change this, one is a strong sensible president – which we fortunately have today- and somebody who claims a majority in parliament who allows you to do this. Today we have about 80 people in Parliament with ministerial portfolios. The other 60 don’t feel idiots, because there are so many of us. We will have a particularly defined role to play. That role was very clearly given us recently. The President plans to have advisory committees on major areas of concern. I think this new role should be included in the constitution. It should also be emphasised that those committees should not be chaired by Ministers. But they should be initiated by the Government to ensure that proper action is forthcoming. This setup must incorporate a system where the Government and the Opposition can work together, not to criticise the executive but to bring to its attention the things that it can’t see by itself. Of course we need a sensible and a sane Opposition for that. I have to admit that I worry if such a set up is possible with Mr. Wickremesinghe. He was the ultimate victim of J.R. Jayewardene. He came to parliament at the age of 27. He was immediately given an executive position. Of course he was an able person but there were better parliamentarians who were overlooked. So he got this idea in his head that ‘I need office’. He had never functioned as a simple parliamentarian in his life. He had either been a minister or functioned as the Leader of the Opposition. Unfortunately after he lost he could not come to terms with it, so the rest of his life had been an exertion to return to power. Therefore, he does not understand the cooperative, active and sensible role of the Opposition. Reproduced here is the Introduction to, and the table of Contents of, ‘Lest We Forget: the tragedy of July 1983’. 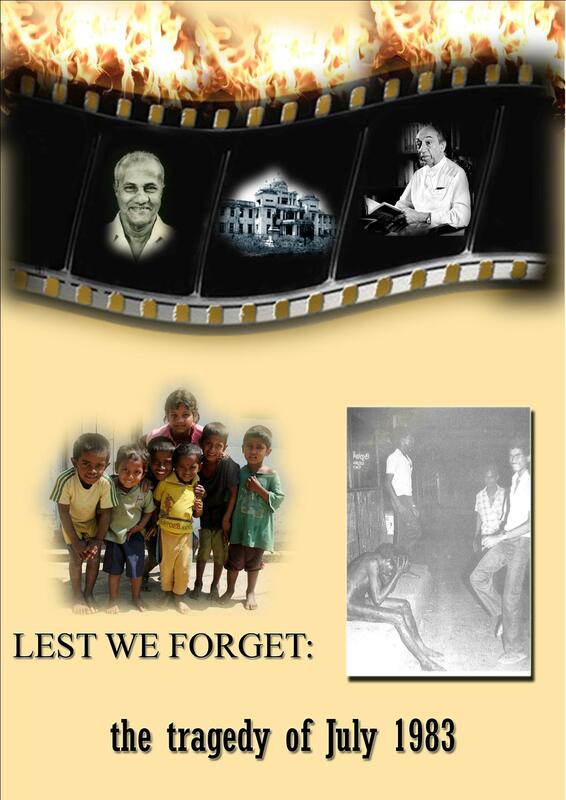 The book was published on the 25th anniversary of the events and introduced at a commemorative event conducted by the Bandaranaike Centre for International Studies. It may be obtained from International Book House at 151 A Dharmapala Mawata, Colombo 3. Further information may be obtained from the publisher at newpet@sltnet.lk or 037-2225884 or 011-2330742.